The J. Crew Super 120s Collection is my go-to low/moderate brand and can be a steal when they are running a sale, while BOSS and Theory are two top picks for moderate/high investment suiting. My recommendation is to invest in the best jacket-pant-skirt combo that your budget can handle in black, navy or a dark grey. Look for quality stretch wool fabric. One-button or two-button jackets will work better than 3+ or double-breasted as will a classic shaped trouser (not too skinny, too flared). A pencil is the most versatile skirt shape. Tailor for an impeccable fit! Now have fun styling your new versatile look! For work try the trouser with a print blouse and accent-color cardigan; for day try jeans with a simple tee, blazer, bold statement necklace and platform slides or the pencil skirt paired with a chambray button-down tied at the waist, sunnies and a pair of lace-up ballet flats; for date night pair the trouser with an embellished silk tank and metallic sandals. And rest easy you’ll never have to worry again about what to wear to that unexpected interview, that funeral, that after-hours work function of your husband’s, etc. J. Crew Super 120’s Collection – Skirts from $128, Trousers from $138, Jackets from $248; a variety of fits are available in each category so you can find something that fits your style and best suits your body type. Theory Suiting Separates – Prices range from about $215-515 depending on item. 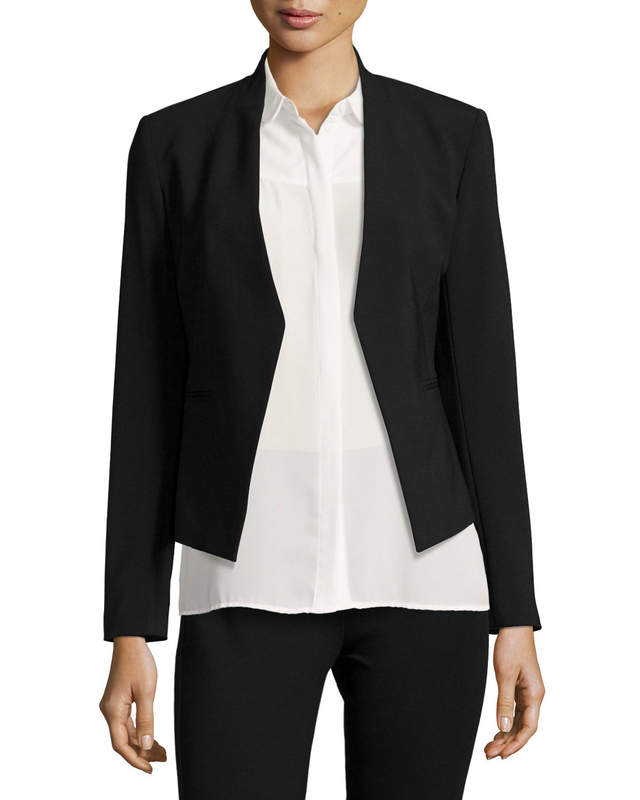 Boss Suiting Separates – Range from $180-625.